In order to enter the Contest "A Sports Camera" (hereinafter the “Contest”) hosted on the website www.wannawin.ca by the company ConcoursMania Canada Inc. (the “Organizer”), you must accept the eligibility and participation requirements described herein (the “Official Rules”). No purchase is necessary to enter the Contest. The Contest begins at October 29th, 2018 at 12:00 AM (EST) and ends at November 27th, 2018 at 11:59:59 PM (EST) (the “Contest Period”). The Contest is opened to everyone who has reached the legal age of its respective province at the time of entering the contest. Employees of the Organizer, Wannawin or their immediate family members and people living with them are not eligible to enter the contest. Limit of one entry per day and per person during the Contest Period (same postal address and email per family name). Links announcing the Contest may be found on partners’ website. Each participant declares that he has read and accepted all the terms and conditions of the Official Rules. Participants must meet the above eligibility requirements. The start of the Contest will be announced on the Wannawin website. The participants must visit the Contest website located at www.wannawin.ca and must fully complete the registration form. Once the document is completed, the participant must click “Participate” to submit their participation form. Only one entry per email address per day will be allowed. Only one subscription per valid email address will be allowed, unless special conditions are announced on the website. After the registration, contestants will be invited to invite friends to enter the Contest as well. The Contest is based on a random drawing, unless special conditions are announced on the website. If a participant fails to meet any required condition(s), he will not be able to participate in the random drawing. The winner will be selected from all valid registration forms received on Wannawin servers during the Contest valid time frame. The winner will be selected on November 27th, 2018 at 11:59:59 PM (EST) ("Drawing Date") at Wannawin offices. Prize will be delivered to the winner upon verification that all applicable rules and regulations have been fulfilled. The Organizer reserves the right to change the Drawing Date without prior notice if any fraud or other cause beyond Organizer’s control is identified during the Contest. The Organizer reserves the right to inspect or disqualify any registration before the drawing for evidence of tampering, fraud or other violation of the Official Rules, or if a force majeure event prevents the drawing at the original date. In such case, no claim can be made against the Organizer. Wannawin and its affiliate websites are not liable or responsible for incomplete or incomprehensible information given by contestants. Wannawin has the right to discard any participation form that is incomplete, incomprehensible or that they suspect fraudulent. 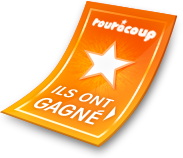 The Organizer has the right to change Contest modalities or to cancel a contest, without notification under the right pre-accorded by the «Régie des alcools, des courses et des jeux» of Quebec. The Organizer reserves the right to publish the name and the photo of the winner on any media, for advertising or other communication purposes. The winner waives the right to refuse such communication or claim any compensation in return. The Organizer will notify the winner by email or phone. To receive the Prize, the winner should confirm to the Organizer its personal information. To receive the Prize, the winner will be required to answer a skill-testing question. The winner will receive the prize by post no later than 30 days after having correctly answered the skill-testing question. Odds of winning depend on the total number of eligible entries received during the Contest Period. (*)The brand name or company associated with the Contests is not a sponsor nor a partner of the Contest and the Organizer; and thus cannot be involved in the Contest and its random drawing. Prize is as described above and, unless specifically stated to the contrary, will not include any other charges, expenses, personal or additional items which will be the sole responsibility of the prize winner. The prize value has been determined at the time of the writing of the Official Rules and cannot be contested. The prize must be accepted and cannot be exchanged for financial compensation. The Prize is non-transferable and cannot be exchanged for cash. No reimbursement will be accepted. Picture of the prize is not contractual and may differ from the actual product. The Organizer reserves the right to substitute a prize or a purchase voucher of comparable monetary value or equivalent nature at any time. If the potential winner fails to answer the notification for any reason within ten (10) days or if the notification is continually returned back, the potential winner can be disqualified. The prize will be offered in another Contest. The Organizer shall not be held responsible for delays and/or loss of the prize during the process of the postal services or shipment, nor for total or partial destruction of it, or for any other case of accident. The Organizer agrees to comply with the rules regarding the policy on privacy and data protection set up by the Province of Quebec (Loi sur la protection des renseignements personnels dans le secteur privé déclarées mainly similar to the Loi sur la Protection des Renseignements Personnels et les documents électroniques, « LPRPDE ») particularly about how information may be collected, used or disclosed by a company in the course of commercial activities. At any time, participants may send a request for correction or withdrawal of their information by sending regular mail to the Organizer's address. In case of force majeure or if circumstances so require, the Organizer reserves the right to modify the present rules, or to postpone, alter or cancel the contest. Its liability may not be involved as a result of these changes. Any grievance in regards of the organisation or the conduct of the advertising contests can be reported to the «Régie des alcools, des courses et des jeux» of Quebec, so mediation can be done. Any grievance in regards of the attribution of a Prize can be reported to the «Régie des alcools, des courses et des jeux» of Quebec, so decision can be taken. No litigation will be accepted two months after the end of the Contest. This Contest is subject to all applicable federal, provincial, and local laws and regulations. Any attempt by a participant or any other individual to deliberately damage any web site linked to this Contest or undermine the operation is a violation of criminal and civil laws. In such a case, the Organizer reserves itself the right to institute proceedings and to claim damages to the fullest extent permitted by law.